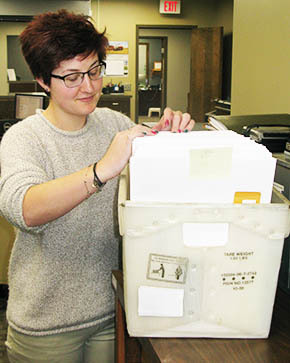 Boone County Clerk’s office was preparing this week to send out the all-mail special election ballots for the Boone Central School District bond election. Above, office assistant Sarah Robinson checks one of the mail tubs containing about 300 of the 2,600 total ballots. 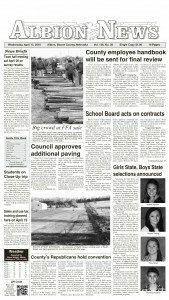 The ballots will be mailed Thursday, April 23, and must be returned by 5 p.m. on Tuesday, May 12, for counting.